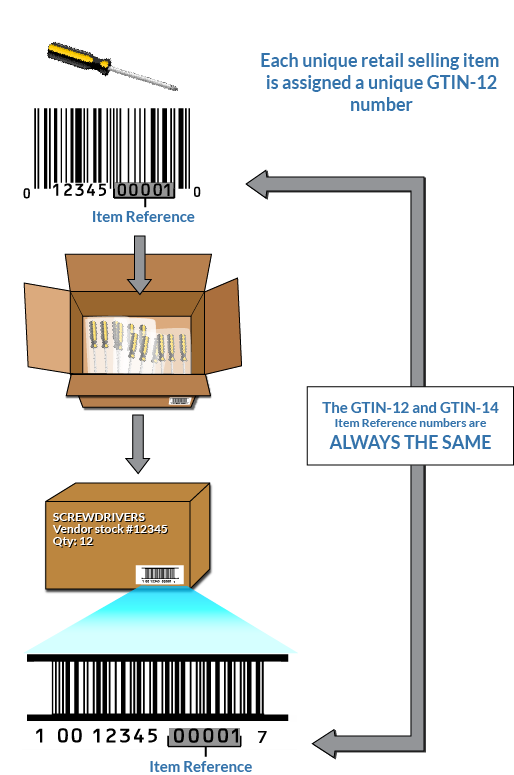 The GS1 created the GTIN Management Standards to define item identification and the GTIN-14 use on cartons. The 2 most common types of cartons are; Standard/Uniform Carton and Mixed Assortment Carton. 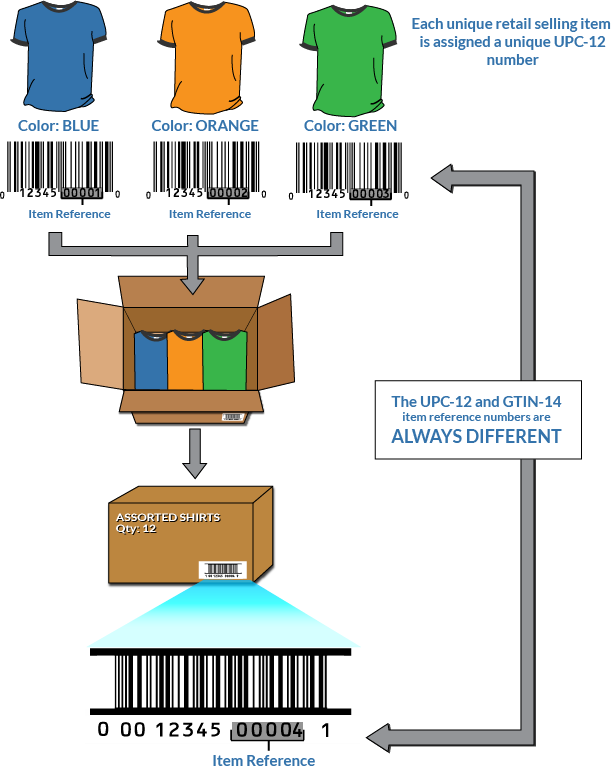 A carton containing the same items is referred to as Standard or Uniform Carton which means all items in the carton have the same UPC-12(GTIN-12). Standard/Uniform Cartons generally have an Indicator digit of a value between 1 – 8. The Company Prefix and Item Reference (first 11 digits) of UPC-12 is the same as the items in the carton. A carton containing items which are marked with a different UPC-12, is referred to as a Mixed Assortment. Mixed Assortments use a ‘0’ for the Indicator digit followed by valid GS1 Company Prefix and then new Item Reference Number is assigned. www.orderbarcodes.com – Purchase printed barcode labels. Prices start at $15.